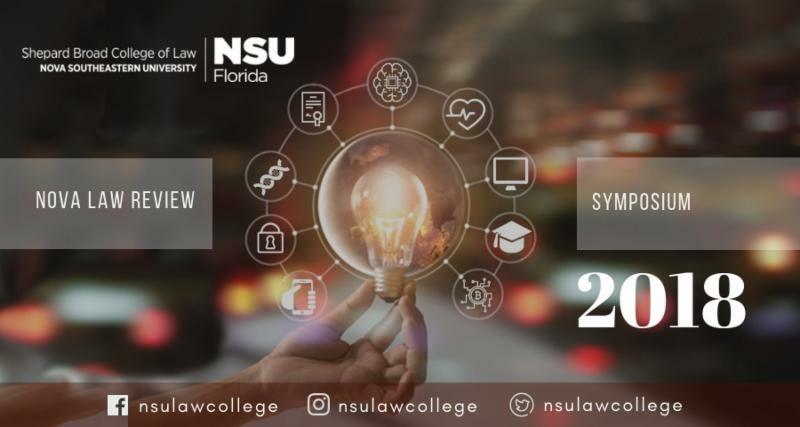 NSU Shepard Broad College of Law and the Nova Law Review recognize that during these stimulating times of flourishing innovation in various sectors worldwide, it is important to discuss and highlight the various underlying issues that coincide with these novel developments. Progression 2018: Using Law to Facilitate an Efficacious Innovation Economy, will address the intersection of law and business as it focuses on new technologies, ethics, and regulation. The Symposium presents an opportunity for academics, practitioners, and students in a variety of legal, business, and technology fields to exchange ideas and explore emerging issues.